If there is a mosquito or midge around, you can be guaranteed it’s going to bite me before anyone else. But I really don’t want to use traditional insect repellent. The active ingredient DEET in most of them has been linked to neurotoxicity and damage to our environment and waterways. However, mozzies can carry disease like dengue, Ross River, malaria and lyme, so we do want to have some form of protection when they are around. There are some much safer, natural ways to keep mozzies and bugs away, apart from gassing everyone with the Aeroguard! I’ve discovered that just like sunscreen, how well they work will depend on your chemical make up! It’s not an exact science, so try a few out and see what is the most effective for you. There are so many good ones out there these days! Just remember to apply liberally and evenly all over your body and apply regularly, particularly if you are sweating or swimming. To apply to the face, spray on your hands and rub over. This one is a best seller. Bug-Grrr Off uses scientifically proven REPELLIN, a lemon scented eucalyptus extract. It is available in 2 hours or 6 hours protection in both spray and roll ons. Suitable for adults and kids over 12 months. Get Jungle Strength Buggrrr Off here. 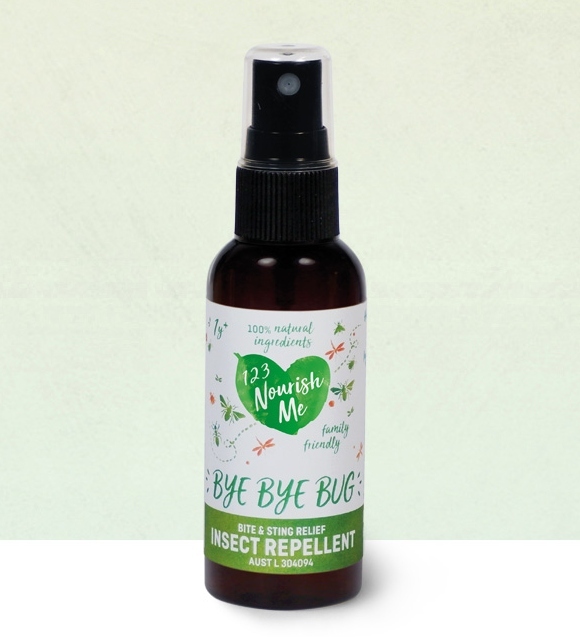 Bye Bye Bug from the amazing mums at 123 Nourish Me is both an insect repellent and a sting relief spray! Using organic essential oils, this spray is super safe and contains no nasty toxins or alcohol. Get Bye Bye Bug insect repellent here. ♥ Moo Goo Tail Swat Spray. A natural, gentle body spray without strong essential oils that also happens to repels mozzies. It comes in an economical 200ml spray bottle and perfect for people who are super-sensitive. Get Moo Goo Tail Swat Spray here. 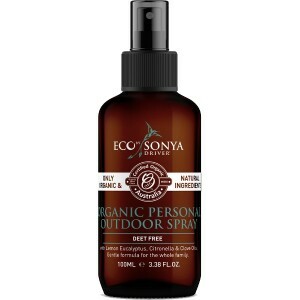 ♥ Eco by Sonya Organic Personal Outdoor Spray. This repellent is in a 100ml spray bottle and based on certified organic essential oils of basil, lemongrass and citronella. Suitable for adults and children. Get Eco by Sonya Personal Outdoor Spray here. ♥ Eco Kid Bug a Bug. 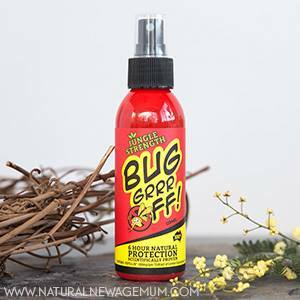 This spray is an all natural, hypoallergenic bug repellent, based on unique Australian indigenous oils combined with wild harvested organically certified Andiroba Oil to hydrate and nourish. Suitable for all ages. Get Eco Kid Bug a Bug here. This range contains two 50ml roll-on options. Bug Off My Baby is especially designed for babies under 2 and the general Bug Off Me. Get Vanessa Megan Bug Off Insect Repellent here. This delicious balm is formulated by a naturopath and contains Citronella, Lemongrass, Geranium & Eucalyptus essential oils in a soothing shea and chickweed base. Suitable for ages 2 and up. 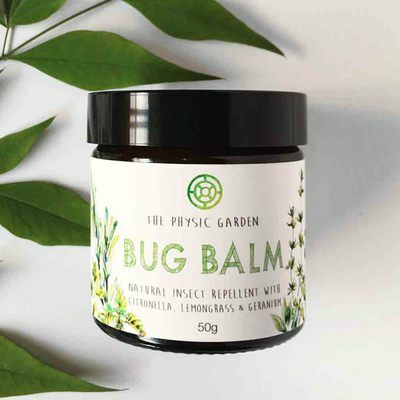 Get Physic Garden Bug Balm here. ♥ Wear long sleeves and pants in a lighter rather than a darker colour. Interestingly, our kindy was located in a botanic gardens and was a mozzie haven – they definitely liked the kids wearing dark clothing more! Also avoid perfumes as they can attract bugs. You can make your own bug spray using essential oils. Black Chicken have a blend called REPEL for just his purpose! Add it to a spray bottle with water or just pop it in your diffuser. Neem oil smells weird but it is very good at keeping bugs away. We use this if the mozzies are really, really bad. It works really, really well but yeah… stinky! Find out more here. There are a number of wristbands and patches on the market that protect against mozzies. These usually work with an infusion of essential oils. Some have replaceable pads, others are disposable. Check out some of the best mosquito bands here. 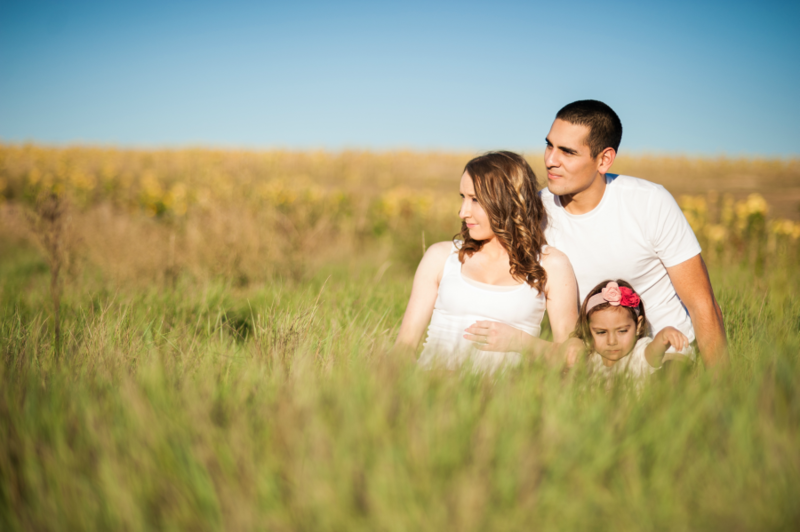 Note: Insect repellent is generally not recommended on children under six months old unless specified. Use mosquito netting around the cot and pram and cover up with clothing. ♥ Ditch the mozzie coils – the smoke generated contains toxins you do not want your family inhaling. 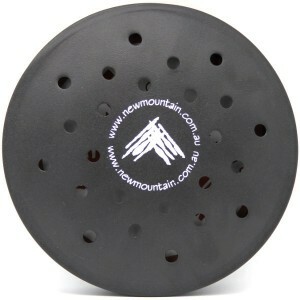 A great natural alternative are these New Mountain sandalwood mosquito diffusers. ♥ Avoid being outside at dawn and dusk as these are prime times for mozzies. Shut your doors and windows around these times as well. ♥ Use yellow globes in outside areas – bugs are not as attracted to them as they are to regular bulbs. ♥ Grow mozzie repelling plants in your outdoor areas – lemon balm, catnip, basil, rosemary and lemon geranium. ♥ Use an electric bug zapper to attract bugs away from you. ♥ Put a fan on so mozzies find it hard to land on you. ♥ Use mosquito netting around beds at night time. ♥ Diffuse essential oils around the house. Those with insect repelling properties include: citronella, geranium, tea tree, lemongrass, peppermint, lemon, rosemary, thyme and spearmint. A great bug repelling recipe for your diffuser is 2 drops of citronella, 2 drops of lemongrass, 2 drops of peppermint and 1 drop of lavender or use the Repel blend from Black Chicken. Sometimes, no matter how careful we are, those pesky little insects will manage to find us and bite us! There are many people who seem to flare up quite badly after being bitten. 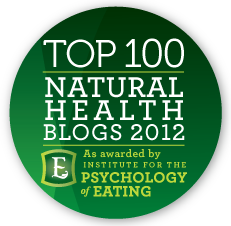 Here are some great natural remedies to soothe the bites. ♥ Our of our natural new age mums and homeopath, Clare Stride makes this amazing ‘Bites Blend’ to soothe insect bites and reduce pain and inflammation. This homeopathy blend is totally safe for everyone from babies to the elderly, easy to take and there are hundreds of doses per bottle. You can read more about it here. ♥ Make a paste of bicarbonate of soda and water and apply to bites. 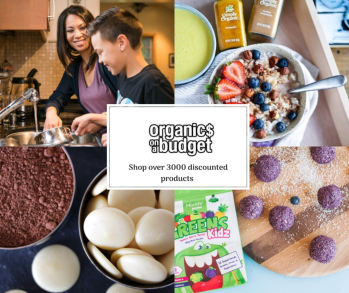 ♥ One drop of neat Lavender oil or Tea Tree oil on bites works really well (but dilute with a carrier oil for babies). ♥ Use straight Apple Cider Vinegar on bites or a diluted compress for larger areas. ♥ Emu Oil is great for bug bites that flare up and cause pain and itching. Just break a capsule and rub in! ♥ Place a hot teaspoon directly on the bite for a few minutes. Just hot water from the tap on the spoon for a minute is hot enough – don’t burn yourself! The heat kills off the protein the bugs leave behind and prevents the itch. ♥ If you are covered in bites, one of our readers recommends alternating bicarb and apple cider vinegar baths to soothe. ♥ Aloe vera works well as a soother too – either straight from the plant or a natural gel. Well that was a bumper post! I hope it was useful to you. Please get in touch if you try any of these out and how they work for you! Aromatherapy Recipes for your Oil Burner by Judy Chapman. The Aromatherapy Bible by Gill Farrer-Halls. Essential Oils Pocket Reference by Life Science Publishing. Parts of this article are sponsored. Okay, I thought I was the only one! Bugs feast on me and I have no idea why. And I am also blessed with sensitive, irritable skin, so I have never been able to use the chemicals in most bug repellents. Plus they stink! 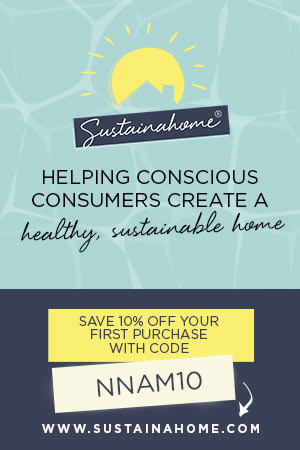 I just ordered the Eco by Sonya you listed, mainly because I love lemongrass and I know citronella works! 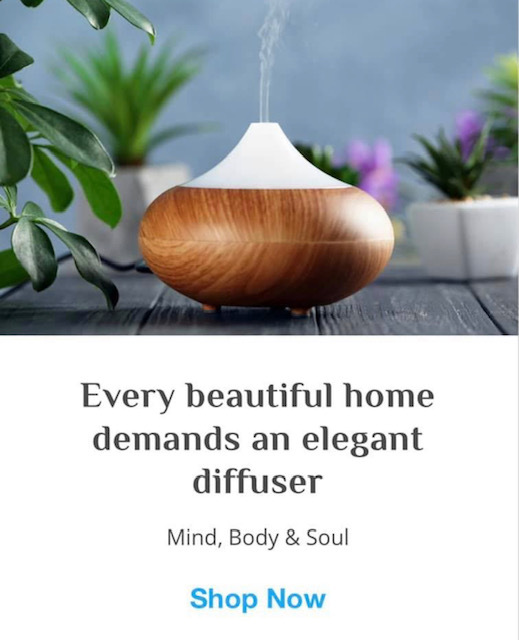 I love your suggestion to diffuse essential oils in the house. I had heard peppermint is a natural repellent to many critters! Crossing my fingers! We are a childcare centre and looking to buy natural mosquito repellent for children in bulk. What would be the best price that could be offered for a box of 10 of the buggrrr off spray?